Australian wine is enjoying something of a makeover on the international stage, with the reputation of wines from this great southern land increasingly gaining ground in consumer awareness for both quality and diversity. Fundamental to the diversity of the Australian portfolio are Italian grape varieties and the Chalmers family of Victoria has played and continues to play a pivotal role in the development of the category. Left; founders Bruce and Jenni Chalmers. Right; daughters Tennille and Kim. Credit: Chalmers Wines. Back in the days when Australian wine generally only offered Chardonnay, Shiraz or Cabernet Sauvignon, the Chalmers family was among a handful of producers trying something different. In addition to their vineyard in Euston NSW, Bruce and Jenni Chalmers imported an array of Italian and Mediterranean grape material for their nursery business in the 1990s. This has provided much of the material used in the country today and I am told that every Nero d’Avola vine in Australia can be traced back to the family nursery – quite a legacy. Colbinabbin Vineyard Heathcote. Credit: Chalmers Wines. The Euston vineyard and the nursery business were both sold in 2008 and vineyards were purchased in Heathcote and the Murray Darling regions. The culture of innovation continues as evidenced by a recent tasting with Cellarhand distributors in Melbourne. Daughters, Kim and Tennille presented wines from the well-established Chalmers portfolio alongside the newly released Chalmers Project. 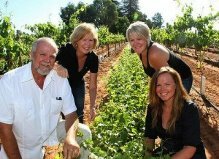 The concept for the Chalmers Project grew from Bucket Wine, which was something Kim and her husband Bart created in 2012. The intention of Bucket Wine was “to see if we could make balanced, interesting and delicious wines without conventional winemaking tools.” The result was a tiny number of wines that when presented to the Melbourne wine trade in 2014, sold out within 20 minutes. Only slightly larger in production, the Chalmers Project has a similar energy. The wines are unique yet extremely accessible. The range includes Moscato, Fiano, Greco, Negroamaro, Aglianico and Nero d’Avola. Alcohol levels are restrained and acidity is fresh making the wines easy to match with a variety of dishes. The super crisp Dry Moscato Giallo instantly conjured up visions of a brilliantly sunny day and half a dozen fresh oysters! Tennille Chalmers. Credit: Chalmers Wines. 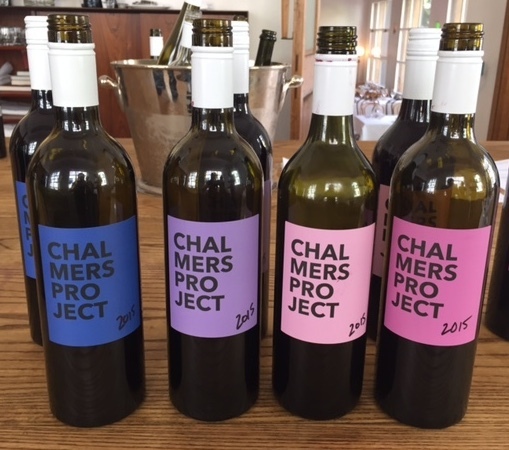 Within the Chalmers Project is the Nero Project, which is a quartet of Nero d’Avola made by Tennille Chalmers. The production method remains the same with terroir and picking dates varying. Three of the four wines have grapes picked at the same ripeness and the top parcel at the Heathcote vineyard, for the fourth wine, is picked two weeks later. The grapes are crushed and undergo a brief cold soak before fermentation in open-top fermenters with pump-overs occurring 2 – 3 times a day. Fermentation is in older barrels of 2 – 3 years age. Plantings of Nero d’Avola in Australia although tiny have grown from 33 ha in 2012 to 77 ha in 2015 and the majority of plantings in South Australia. Also known as Calabrese, Nero d’Avola is the star of red wine production in southern Sicily, producing deeply coloured wines of spice and red fruit. 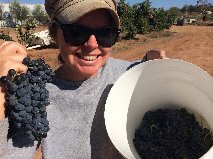 In the Nero Project, Tennille has coaxed the personality from each site to uncover the full potential of this grape. The bright red cherry notes of Nero d’Avola are at the forefront of the wine from Mildura in the Murray Darling region, while the complexity in the final wine from the Top Block of the Heathcote vineyard represents the pinnacle of this quartet. With increased consumer confidence and first-rate wine lists at many Australian restaurants, the opportunity to experience something a little different is easily undertaken. 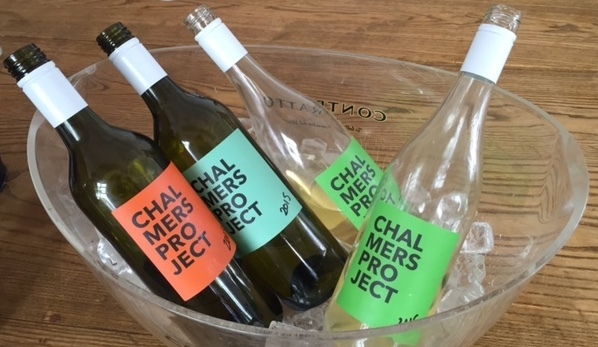 So next time you sit down at an Australian restaurant and peruse a wine list be sure to look out for those hard to come by bottles of the Chalmers Project – you won’t be disappointed!